Nicki Minaj and Meek Mill recently shot the video for their new smash hit single “All Eyes On You” featuring Chris Brown. The Young Money rap diva has been teasing the video on her Instagram with a few behind the scenes shots. Sources told Urban Islandz that the official video could arrive as early as next week. The North American leg of Nicki Minaj’s tour officially kicks off today at the Gexa Energy Pavilion in Dallas, Texas. Meek Mill, Dej Loaf, and Rae Sremmurd will be joining her on stage. 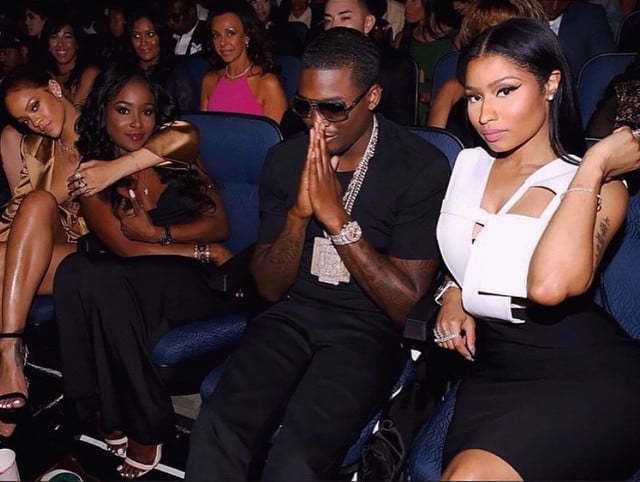 Nicki and Meek have been every single person relationship goals for the last few months. The couple has been inseparable since going public with their relationship earlier this year. Speaking on her rumored pregnancy in a recent interview, the Philly MC confirmed that his girlfriend is not pregnant but he wish she was. “Nicki ain’t pregnant, but…I wish,” Milly said. They are already talking babies and marriage. But not all of their fans are accepting of their relationship. Some of Nicki Minaj’s fans have been particularly critical of her dating Meek right after her split with her former boyfriend of 12 years Safaree Samuels. Safaree is saying that he has always knew that Meek Mill wanted his ex-girlfriend from when they were working together last year. 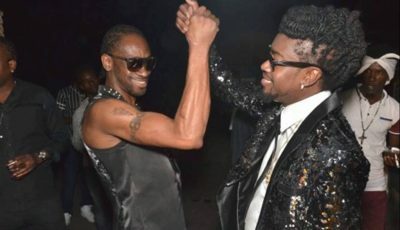 Still the Jamaican-born rapper says that he is not bitter about their current relationship.